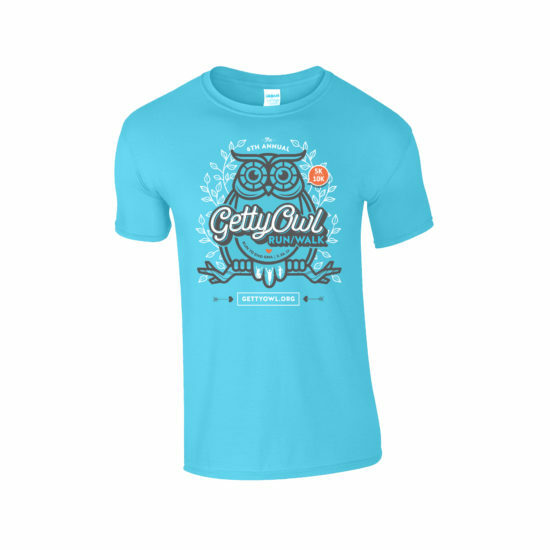 All proceeds of the Getty Owl Run/Walk directly benefit the Getty Owl Foundation. Entry fees include: -Event Tech T-shirt -California Family Fitness Drawstring Goody Bag -Post-Race Nutrition No refunds * T-shirts are not guaranteed to late registers after Wednesday, February 22nd. Becoming a virtual runner gives you a chance to support Getty Owl Foundation without physically being at the race. Perks include official race tech shirt, race bib, and goody bag. Begins 7am at Crocker Park Cash, Checks, & Credit Cards will be accepted. If paying by credit card, please bring your credit cards and driver’s license with you! *Late Registration fees will apply. Child Care**$8/Child **space may or may not be available. Registration Packet Pickup Fleet Feet Sports-Roseville Friday, February 24th: 4pm-8pm Saturday, February 25th: 10am-6pm You may also register at Fleet Feet Sports-Roseville on both days. *If you cannot pick up your packet or register on either Friday or Saturday at Fleet Feet Sports-Roseville, no problem. You can also register and pick up your packet on race day (Sunday) at Crocker park. Registration and packet pick-up starts at 7am at the park. Digital timing will be provided for both 5K & 10K. Race day registers will also have the opportunity to be timed. Strollers are permitted in the race. We just ask that you and your bundle of joy start the race in the back of the pack. Please no scooters, bikes, skates, skateboards on the course. Only service dogs are allowed to participate in our event. Unfortunately all other dogs are not allowed to participate in the run. Sorry to all of our four legged friends. Our First Aid Tent will be staffed by nurses from St. Joseph’s Hospital. As a convenience to all of our participants, we will have a monitored bag check. We will do our absolute best to make sure that everything stored will be safe, however we cannot be responsible for missing items. To be safe, please do not check in valuables. Parking is free on all street spaces on Sunday. We also have one parking garage open at 300 Capitol Mall. Flat fee of $6 cash.